The first Australian National University Boat Club (ANUBC) members to represent Australia were Julie Ellett and Kate McLaughlin in the women’s lightweight coxless pair at the 1982 Royal Canadian Henley Regatta. The Australian Amateur Rowing Council regarded the Royal Canadian Henley Regatta as the benchmark international event for Australian lightweight women’s teams before lightweight women’s events were added to FISA championships in 1984. 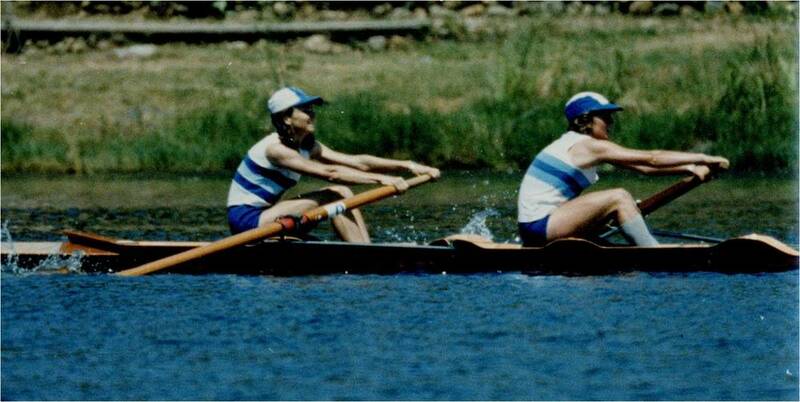 Julie and Kate won silver at the 1982 regatta. In all, 17 ANUBC members have represented Australia. Seven of those members won medals at international events. Highlights include Merrick Howes’ two golds at the 1986 Lucerne Regatta and silver at the 1986 Commonwealth Games, and Henry Gundry’s gold at the 2003 World Under 23 Regatta – the club’s first (and to date only) world gold medal. The club is yet to achieve its first Olympic representative. However, two former ANUBC members went on to compete at Olympic Games within a few years of leaving the club: Kerry Jelbart (1972) and Kerry Knowler (2000). The list below shows ANUBC members who were selected for officially sanctioned Australian rowing teams. It only lists those who were members of, and represented, the ANU Boat Club in the domestic season leading into their selection. International results are shown, where known. Selected for World Junior Championships M4x but withdrew from team after breaking his arm in a bicycle training accident six weeks before the Championships.